Sometimes you need to go in-depth in to situations in order to clearly explain the difference between things. But not on this topic. It is very easy to explain the difference between parents by just 1 photograph. Simply take photos of each parent with their beautiful young baby, and see what happens. Here it is. 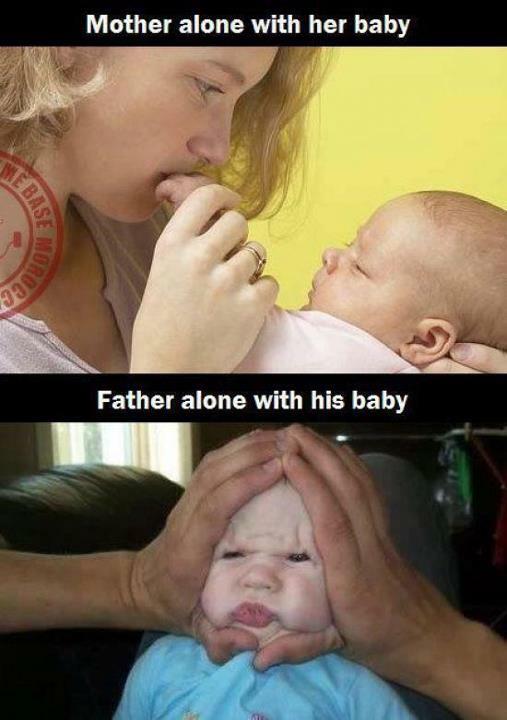 Difference between mothers and fathers. Isn’t parenting just the most wonderful thing in the world. Pass this on to other new moms and dads. Check out more funny stuff in our meme category, thanks for stopping by.